Susi O'Neill has just published a great article at Creation Interactive, under the overarching statement that "there is a growing market for engagement and interaction with technology, and to make healthcare products more playful to improve the user’s experience." In her article, O'Neill addresses some relevant topics such as The growth of exergaming in mainstream games, Nintendo Wii Fit research, Nintendo’s Walk With Me, Games for Health Conference, as well as two case studies I must confess I've missed to blog about. 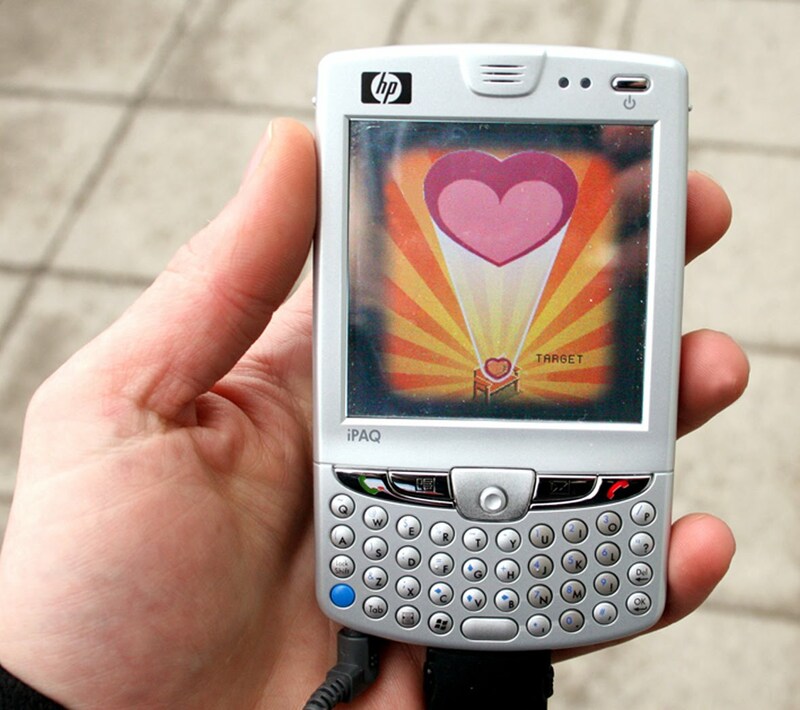 Heartlands is a multi-player mobile phone game controlled by player's heart rates. 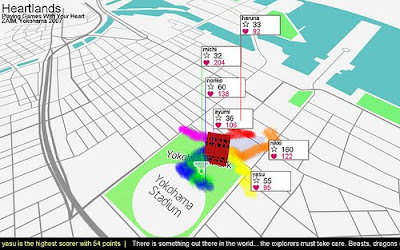 The player’s goal is to keep their heart rate healthy as they explore a virtual map, recreated live on the mobile phone, and reflecting the real journey as it happens. 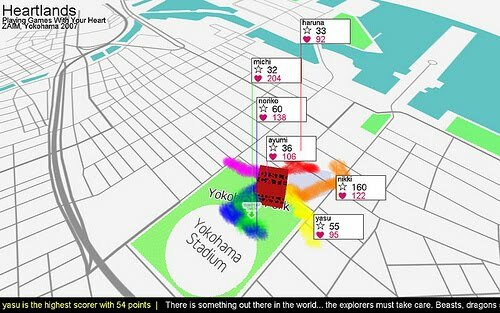 The game has been designed to encourage people of all ages to walk to work and school and to consider making other mundane journeys by foot rather than jumping in the car. The aim is to help to reduce the growing issues of obesity, highlighting how people may play games and keep fit. UK digital producers Active Ingredient won the International Nokia Ubimedia Mind Trek Award for Future Technology for the game, where the heart becomes the joystick, out of 140 international submissions. The game has toured technology and arts events in USA, Singapore, Japan, Brazil and across Europe. Using a GPS-equipped smartphone and attaching a heart rate monitor to your forefinger, Heartlands maps your physical movement in the real world onto a virtual equivalent shown on a mobile screen, with the game’s landscape changing depending on your heart rate. Within the optimum range for your age, the pathway grows green grass and blossoming flowers but if it’s too low it turns to a desert littered with skulls and cactus. Active Ingredient has teamed up Mixed Reality Lab, University of Nottingham, with support from the Lansdown Centre for Electronic Arts, Hewlett Packard Research Labs, Sciencescope, Radiator Festival for New Technology Art, the Fraunhofer Institut, the AandB Investment Programme and East Midlands New Technology Initiative. The concept was developed in collaboration with Middlesex University Sports Science Department in London who helped to develop an algorithm to judge the active heart rate area. 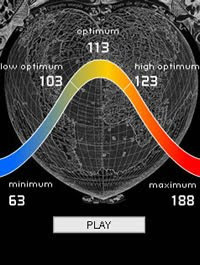 The game allows researchers to understand the little explored area of discontinuous exercise. As a co-operative game, it allows children and adults of all ages to compete to achieve a personal best. Gamers have reported high levels of endorphin from the fun and euphoria associated with gaming combined with increased heart rate activity associated with outdoor exercise. 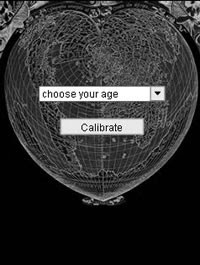 Active Ingredient is a Nottingham based new media company, run by two Nottingham Trent University alumni - Rachel Jacobs and Matt Watkins - that specialises in the field of interactive media and has been developing artworks and media projects since 1996. Rachel and Matt first presented “Heartlands”, formally known as “Ere be Dragons” at Nottingham’s very own Radiator Festival of New Technology Art 2005 - a festival which works closely with Nottingham Trent University’s School of Art and Design. The pair teamed up with the University of Nottingham’s “Mixed Reality Lab” to develop the initiative. The Mixed Reality Lab is a dedicated studio facility where computer scientists, psychologists, sociologists, engineers, architects and artists collaborate to explore the potential of mobile and mixed reality technologies to shape everyday life. 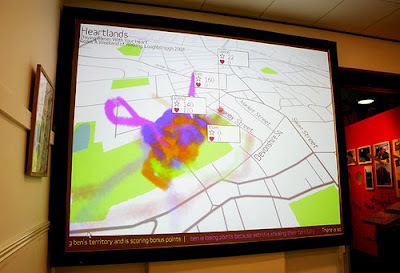 Heartlands has been developed using a research grant from the Wellcome Trust in collaboration with the Lansdown Centre for Electronic Arts and London Sports Institute, at Middlesex University. Further investment has been received from the East Midlands New Technology initiative, Radiator Festival for New Technology Art and Arts and Business East Midlands. Mind Trek Association is a non-profit umbrella organization for societies working in the fields of digital media and information society. The Association operates both nationally and internationally. The association consists of university partners, non-governmental organizations and companies. It is unique in the sense that it does not only cover the field of commerce but also science, research and citizens. London Serious Games development agency Playgen is pioneering the development of simulation games for learning, assessment and behavior change. 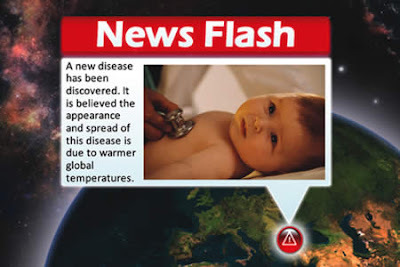 Climate Health Impact is a simulation based game designed to give British high school biology students a better understanding of the health impacts of climate change and to encourage them to study biomedicine at university. 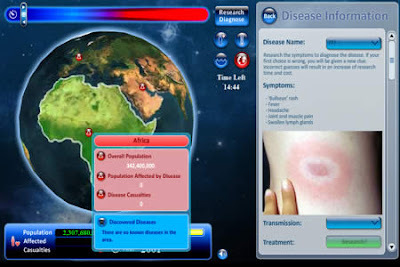 It focuses on identifying diseases and understanding the policies that could be implemented to help the world to adapt. It taps into a growing trend for Serious Games targeting younger audiences who are already engaging with interactive, rich graphic games recreationally; games can become a new tool to aid their learning and exploration. 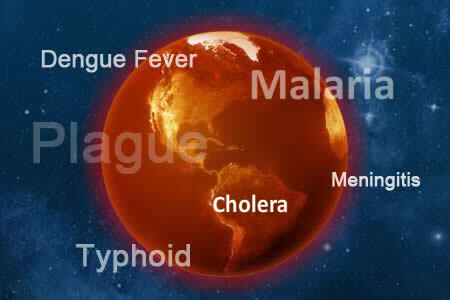 Players assume the role of a biomedical scientist and policy maker aiming to prevent and reduce the impacts of diseases that spread throughout the world due to global warming. By correctly diagnosing symptoms and transmissions, the player is able to research treatment for diseases and begin helping casualties. By placing specific polices in affected areas they are also able to slow the spread of disease, therefore reducing fatalities. Climate Health Impact links to the A Level Biology curriculum for OCR, AQA and Edexcel, enabling it to be used effectively in the classroom as well as at home.